This reef ain’t big enough for the both of us. 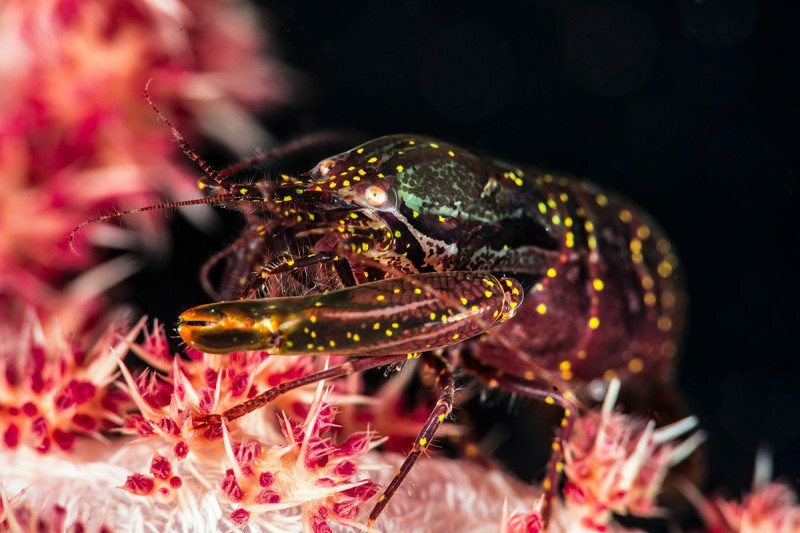 Two pistol shrimp face each other, each spreading open its giant snapping claw – nearly half the size of its body. One or both of them then snaps the claw shut in its opponent’s direction, firing off a powerful water jet at speeds up to 30 metres per second. These shrimp shootouts are rarely fatal, but can leave the loser retreating with missing claws or puncture wounds. But the high-speed squirt isn’t what harms their target – it’s the resulting shock wave. Now we have glimpsed how this unfolds in fine detail.